The House of Commons will today debate the issue of Test of English for International Communication (TOEIC) visa cancellations. The debate will be held in Westminster Hall and it begins at 4.30pm. Labour MP Wes Streeting, who will be leading the debate, said on Twitter in July: "After months of trying, today I've had confirmation that we'll be debating the TOEIC test scandal that has ruined the lives of many innocent international students." TOEIC hit the headlines in 2014 when the BBC TV programme Panorama reported that some colleges which administered the tests were using cheating and fraud. 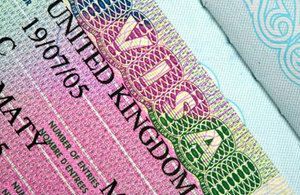 Thousands of students had their visas cancelled by the Home Office as a result. As the House of Commons Library noted in a briefing prepared for today's debate, subsequent litigation has brought into question the accuracy of the evidence relied upon by the Home Office when revoking these visas. The Financial Times reported in May that as many as 7,000 foreign students may have been falsely accused of cheating by the Home Office and ordered to leave the country, with some students saying they were detained and made homeless as a result. Ahead of today's Commons debate, the campaign group Migrant Voice last month published a comprehensive 44-page report on the visa cancellations, which you can read here. Nazek Ramadan, the director of Migrant Voice, called the visa cancellations "a Windrush-style example of disastrous decision-making, another toxic effect of the government's 'hostile environment' policy towards migrants." According to the report, the Home Office refused or cancelled over 40,000 people's visas in 2014 and 2015 alone, with the National Union of Students estimating that over 56,000 individuals were affected in total. Migrant Voice called it an "extraordinary act of collective punishment". The report stated: "Some of the students were detained, some were supported, and some returned to their home countries to appeal against the allegation, some remained to clear their names because going home with such a slur hanging over them would have destroyed their reputations and barred them from jobs – and in some cases, from their families. Their task proved virtually unattainable. They were blocked at every turn, and found that a basic tenet of British justice was turned on its head: they were presumed guilty until proved innocent, and the evidence of their innocence – the analysis of the test results – was not made available to them. Almost all their lives were thrown into turmoil. Stress, frustration and anxiety caused health problems, tens of thousands of pounds were spent on legal and living costs, families were divided, marriages were derailed." The House of Commons Library noted in its briefing that appeal rights arising from the relevant visa decisions were limited and many of the decisions only gave rise to an out-of-country appeal. Migrant Voice said yesterday that even those students who followed the extremely lengthy and expensive appeal processes and won were unable to return to their universities. Garden Court's Patrick Lewis told the Financial Times: "The highly questionable quality of the evidence upon which these accusations have been based and the lack of any effective judicial oversight have given rise to some of the greatest injustices that I have encountered in over 20 years of practice." Writing for PoliticalHome today, Wes Streeting said: "By denying students basic justice, the Government has brought shame on our country, which is admired around the world for our commitment to the rule of law. By creating a hostile environment for international students, they put the global reputation of our universities at risk. Perhaps worst of all, by branding innocent students as cheats they are ruining the lives of people who came to our country, contributed tens of thousands of pounds in fees and living costs, and are left with a stain on their character, instead of the bright futures they’ve worked hard for." Migrant Voice recommends that there should be a single, simple action to resolve this controversy: "Every affected student should have the right to re-sit the language test, and those who pass should be able to resume their university education." Wes Streeting said: "It’s time for the Government to let these students sit their test again, clear their names and get on with their lives." A Home Office spokeswoman told The Independent in May: "In February 2014, investigations into the abuse of English language testing revealed systemic cheating, which was indicative of large scale organised fraud. The government took immediate robust action on this, which has been measured and proportionate, and so far 21 people have received criminal convictions for their role in this deception. "There is no limit on the number of genuine international students who can come to study in the UK, nor is there any intention to impose one."